Would you believe that there are many Earth-bound problems that can be solved with the use of solutions based on space exploration? Indeed, according to one industry expert, the Earth could handle two huge problems in one fell swoop, if only it would start looking more seriously into the idea of mining asteroids. 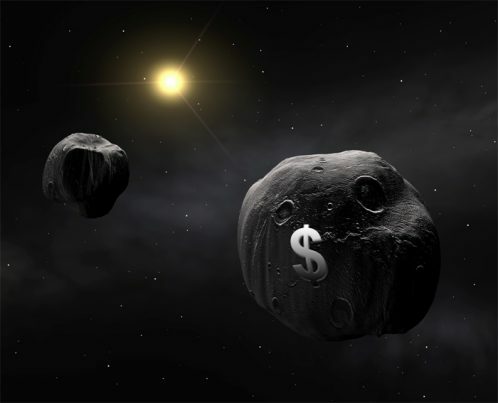 According to Dr. Philip Metzger, a planetary physicist from the National Aeronautics Space Agency (NASA) Kennedy Space Center, faster data and a cleaner planet could both be achieved through mining asteroids. As he thoughtfully notes in a recent piece written for Aeon.co, mining asteroids might seem like something out of a science fiction book, but the reality is that there are already many companies and even a few governments that are working hard to make it real. In Metzger’s view, one of the biggest causes of the skepticism against asteroid mining is none other than the thought that the main goal is to bring back platinum that can be sold in Earth’s metal market. But he says that things could not be farther from the truth. Instead, he flat out says that platinum is simply not the objective of asteroid mining. Instead, he says, the first products from asteroids would be something much less “obviously precious,” and by that he means water. In short, Metzger believes that with the right process, it’s possible to turn asteroid water – by breaking it down into its core components – into rocket fuel. And all the resulting rocket fuel could then be sold to possible buyers like the many telecom companies that aim to boost satellites into orbit. The big picture view of what he describes basically shows that it’s going to be a win-win situation for everyone. The addition of all the telecommunications satellites orbiting Earth would result in faster data communications for everyone. As for his other point about making the planet cleaner, it has to do with the fact that it will be possible to generate solar energy in space instead of down here on Earth. The solar power generation mechanisms could be built as part of robust asteroid mining infrastructure built to accommodate carefully orchestrated plans, which would ultimately result in more resources for everyone, as well as less environmental impacts of energy generation. If his idea works, moving most of the energy sector into space is something that can “unburden the planet,” allowing both the wind and solar power industries to reduce their disruption of large areas of land. In closing, Metzger says that the most important thing for government leaders to understand is the fact that “investing in space-mining is a safe bet on our future, one of the safest they can make.” For NASA and other space agencies, it will result in more science, research, and exploration, along with greater geopolitical presence, all at a lower cost than their current ways of doing business, according to Metzger. Perhaps, in time, the world will find out for certain whether his ideas on asteroid mining and the future of space exploration and Earth itself are right or wrong. Read more on the latest updates regarding outer space at Space.news.